Success. We had effectively infused one of the most revered of time-honored traditions with our character as couple. A pinch of personality here and there made our big day unique – both in the minds of our guests, eager to be entertained, and to us as a couple, wanting to set ourselves apart from the typical nuptial crowd. Whenever my brides ask me where we start the planning process, I tell them to think of the different aspects that make them a couple. Common interests, favorite things and relationship milestones are the dots we can connect to create an event that celebrates both the couple’s character and commitment. But, with the Bridal Association of America reporting that more than 2.2 million weddings occur annually in the U.S., it may seem like a daunting task to plan an event that tastefully combines tradition and the desire to make your big day different than the rest. Are you deep and dramatic? Light and bubbly? All natural and organic? Fast-paced and metropolitan? If your friends could describe your mood as a couple, what would they say? Think about ways to create that mood in your ceremony and reception space. Your guests will be greeted with an ambiance that reminds them of you. Plus, an atmosphere that feels comfortable to the bride and groom will help to ease any last minute jitters. If you’re not a couple who prefers formal shindigs, don’t plan an over-the-top formal wedding. There are ways an event can be formal and fun without entering into “stuffy” territory. On the flipside, if you’re a duo that enjoys the finer things and feels as comfortable in black tie as in jeans, why not create the ultimate fancy party? The point is, the couple should feel at ease in the wedding environment they create to fully enjoy their celebration and the company of family and friends. Much like mood, color saturates all aspects of a wedding. From bridesmaids dresses to bouquets, cake to cocktails to chair covers, color should be prominent throughout your big day. Think about the types of hues you are naturally drawn to. Are they vibrant or muted? Warm or cool? Lighter, softer colors often seem more appropriate for daytime events while dark or jewel tone shades are reserved for the evening. Select colors you feel will work harmoniously with your environment. Lots of black will seem too “heavy” for a spring daytime wedding where as a pastel yellow won’t feel “rich” enough for an autumn evening event. Be bold with unexpected color combinations and don’t limit yourself to just two shades. For a modern monochromatic look, select several different shades in the same color family like eggplant, lavender and violet. For a classic combination with a funky twist, think black and white with a pop of canary yellow or lime green. Be sure to pick colors you both love! 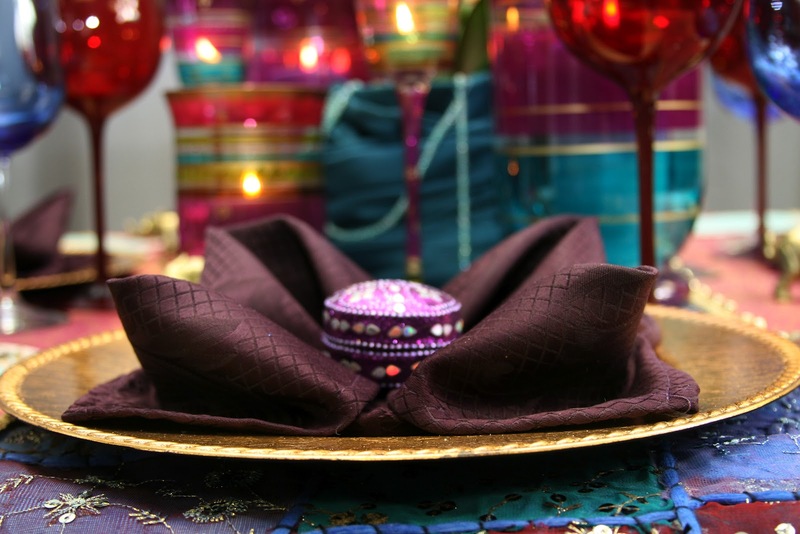 They will help define your event’s mood and give you creative inspiration in the planning process. Where did you meet? What’s your favorite junk food? Do you have a common love for rockabilly music? Take the traits that make you as a couple work and incorporate them into your day. If you met at college, consider a groom’s cake in the shape of the school’s mascot, or use a book of campus photos as your guestbook. If you both love the gelato from a shop around the corner, consider having a gelato bar in addition to your cake. You can even match gelato colors to your wedding colors or use funky patterned bowls for more personality. Take your love of music and name each guest table after your favorite albums or songs. Write a short description of why each is so special. As a unique guest favor create your own mix “tape.” Pick tracks for the CD that tell your story. If you often vacation in Florida together, use sliced oranges in your centerpiece vases or even create a “Sunshine State” signature cocktail. Take your favorite things and use them to create unique experiences for you and your wedding guests. For guidance through the planning process, consider hiring a professional wedding planner. She will work with you to include all of these pieces in your big day while helping to minimize the stress that often comes with planning a wedding. They say the devil is in the details, but I’ve always found it’s the details that make a wedding spectacular! A planner will help you to select your unique wedding theme and color palate and design a day that incorporates them seamlessly throughout. Working with the couple, she will help them choose the ceremony and reception locations and vendors like the photographer, florist and entertainment and review all contracts to make sure you’re getting the best deal possible. Planners also help in managing a bridal budget – something that can easily grow if left unchecked! When your big day finally arrives, why bear the responsibility of setting up your own event? Possibly the most calming effect of hiring a wedding planner is the ability to sit back, relax and know that everything for your wedding, -- all of the different moving parts, vendors and details – are being taken care of. These are just a few of the things to consider when planning the wedding of a lifetime. Highlighting your story as a couple and your distinctive personality as a pair will help to ensure that your day is unique as you!